When someone asks a question that requires an answer the first challenge is what actually is the question. Then comes the answer. Sometimes answering requires us to ponder how does this apply to me..
smart, well sitting in a closed room my imagination becomes the universe, and the rest of the world is missing. Actually i always thought nobody was smarter than am. And what if they were? What good is their understanding doing to me? At the end of the day no matter how smart, a person is, he’ll see only what he is looking for. Yet a good plan of action is a smart plan of action. Behaving or talking in a rude or impolite way showing a lack of repect for someone. Taking cognisance of smart translating to thinking about things and showing intelligence and good judgement, Mullah Nasruddin Hodja here I come to Ak-sheher to pay my respects to you in July. 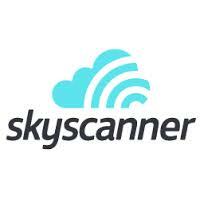 Of course the I would have to contact skyscanner helpline and see the least expensive route, finalize my working holiday. I have been planning this trip for a while, with a no show. Maybe I should try creative visualization. Next PostNext what are women’s issues?